A weekend of networking for young leaders in the Canadian agriculture industry was hosted Feb.23-26 in Saskatoon, SK. The weekend provided learning from passionate professionals, networking with like-minded individuals, and was a great opportunity to experience the diversity of Canadian agriculture. It was the kind of conference a person walked away from feeling both inspired and encouraged, with new ideas to take home and apply. Friendships foraged at the conference gave attendees a chance to know someone from all agriculture sectors. With an amazing group of young producers and agriculture enthusiasts from coast to coast, the conference boasted over one hundred and fifty, 18-40 year old young farmers in attendance! The virtual farm tours that each of the 13 provincial organizations provided, offered a great opportunity to expand ones perspective. From maple syrup production in Quebec, to a cut flower grower in B.C., attendees were given an inside look at the diversity of agriculture production across Canada. To add to that, the schedule was rounded out with exceptional speakers, not to mention great food! Some of the speakers included Kristjan Hebert who had some really great business insights on ‘the 5% rule.’ Casey Berglund and Dr. Posin discussed stress management and health and wellness, both great topics that everyone in the agriculture industry can really benefit from learning more about. There were also some great breakout sessions on Agvocacy and managing finances. Overall, the weekend solidified the truth that we can be such a powerful, passionate voice united across commodity groups and across this great nation, speaking up for agriculture and telling our story. It is a story the world wants to hear, and needs to hear. Canadian farmers grow the safest food in the world, and we are all passionately doing the best we can. Let’s support one another, and grow together. 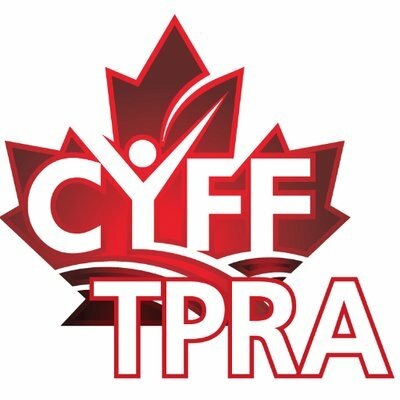 Join us next year at the CYFF conference, and add your voice.